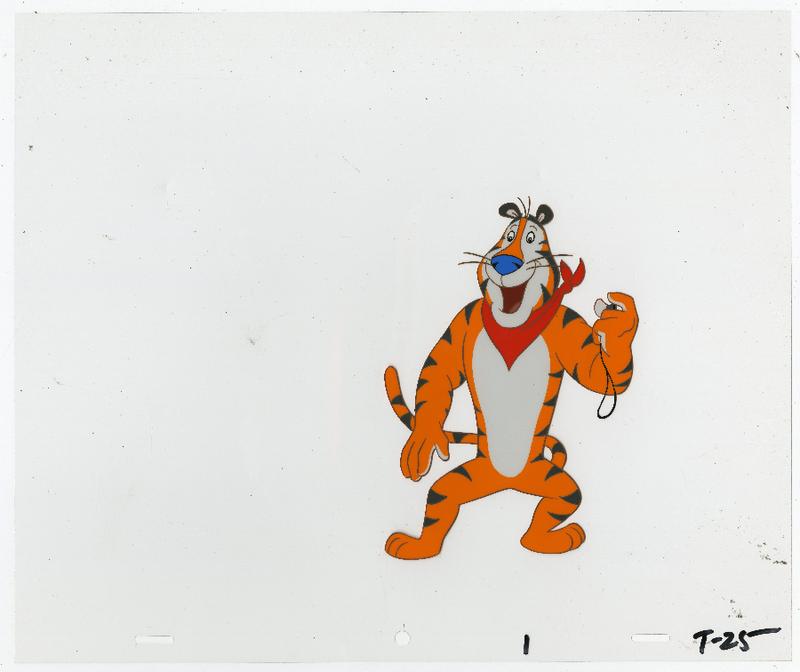 This is an original production cel from a 1980s Duck Soup Studios produced commercial for Frosted Flakes. 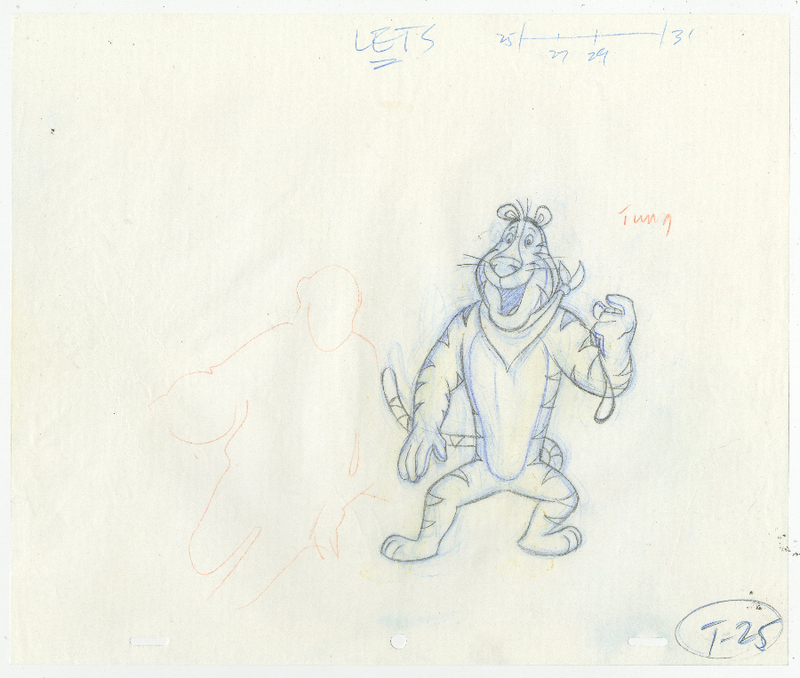 This cel features the classic company mascot, Tony the Tiger, and was created at the studio and used during the production of a commercial. The overall measurements of the piece are 10.5" x 12.5" and the image itself measures 6" x 4". 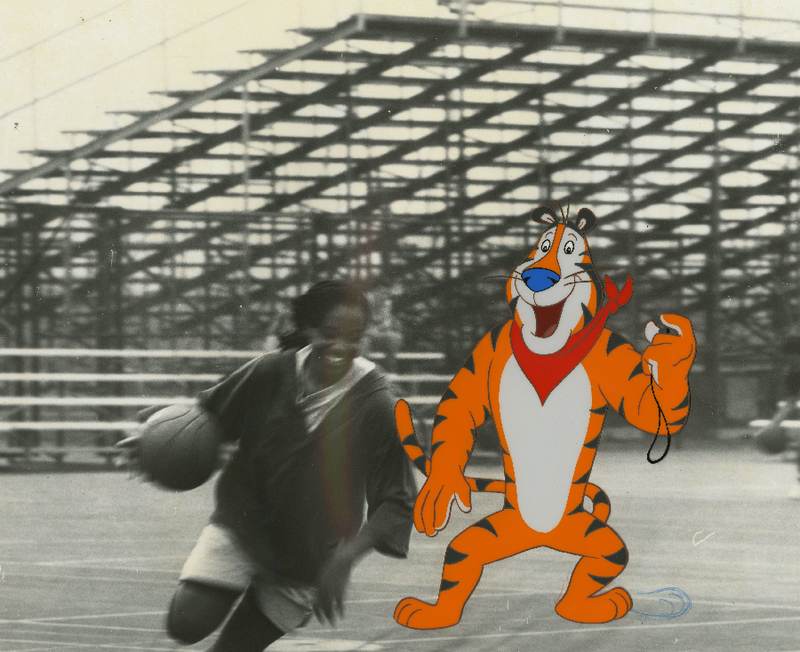 The cel has been paired with a photographic background of the live action imagery that would have registered to the cel in the commercial, and the matching drawing is also included. 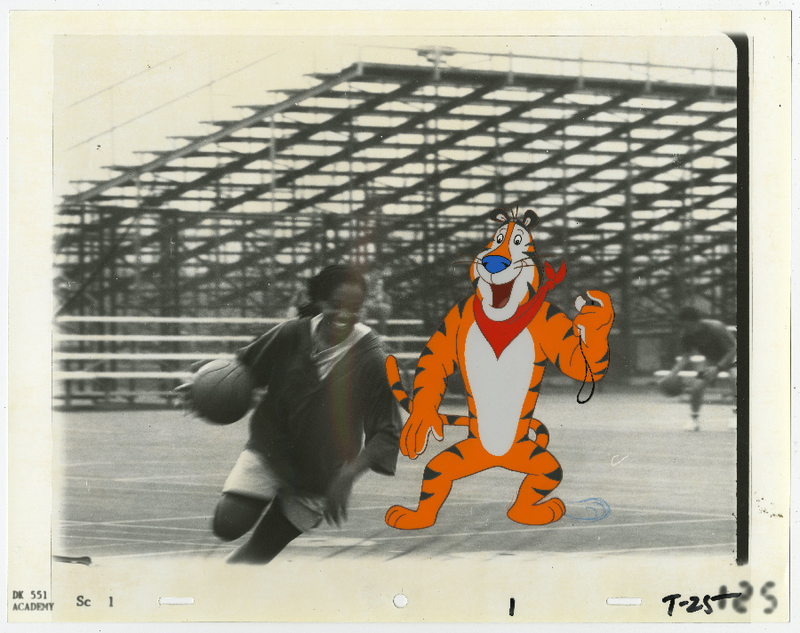 This piece is in excellent condition.